BFSI have high value assets and data that are essential to maintaining business continuity. Security of such assets are critical from a business point of view. Loss or degradation of infrastructural services like electricity, cooling, UPS, Batteries, or failure of the backup systems would result in damages of millions of dollars and irreparable damage to reputation and brand name. Breach is asset physical security can result in loss of confidence from a customer point of view. It is extremely critical to ensure asset security, performance and minimize energy inefficiency and equipment downtime. 6th Energy’s IoT based solution provides 24×7 remote visibility, intrusion detection and real time alerts for operations and maintenance, advanced analytics for uptime enhancement and real-time energy control for operational energy savings. 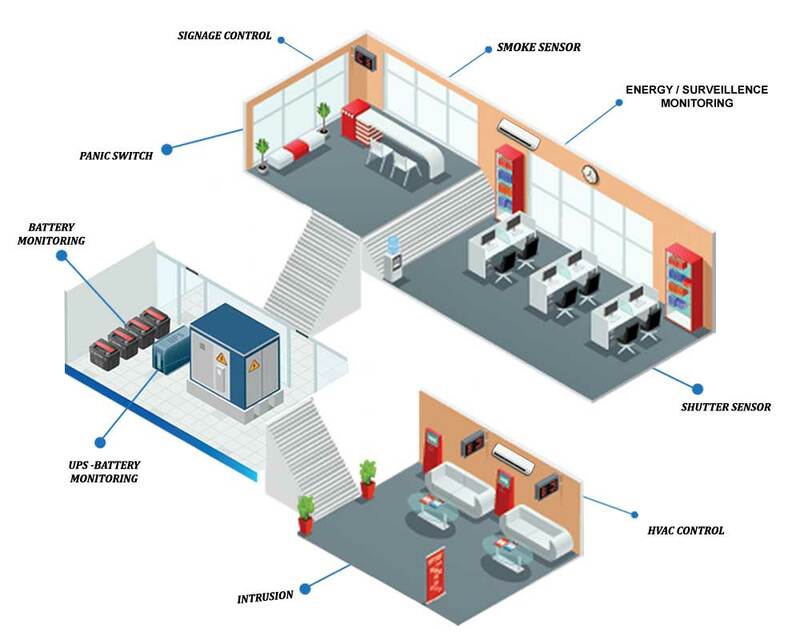 Our modular, configurable and scalable solution can cater to buildings of any size and monitor energy, environment, safety and security over the cloud and delivers updates on portable devices anytime, anywhere.